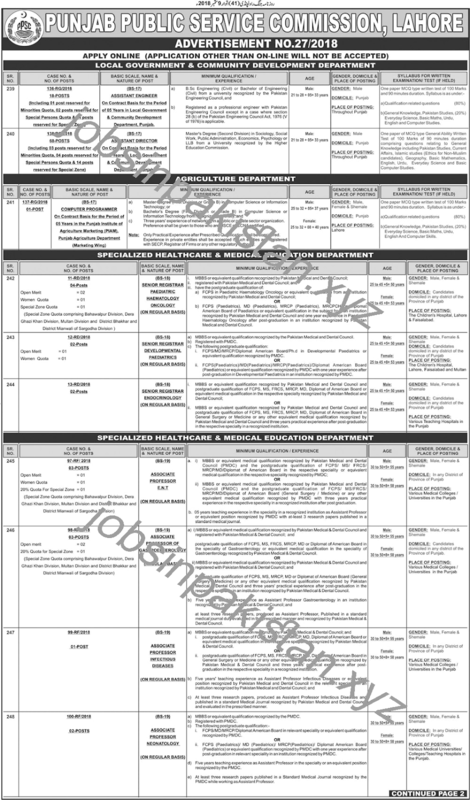 PPSC Jobs September 2018 is listed below in our site. The advertisement Number (NO) 27/2018 for PPSC Jobs September 2018 has come on today newspaper Jung. 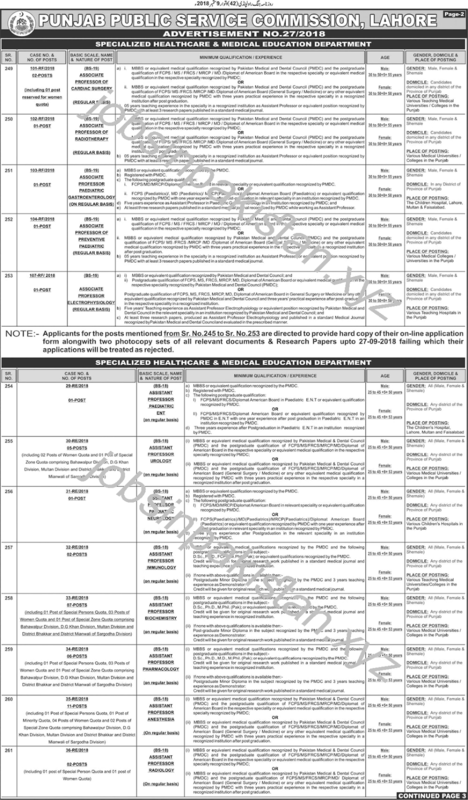 Punjab Public Service Commission of Pakistan (PPSC) announce a 400+ Jobs in medical, agriculture, development departments. The last date for applying PPSC Jobs September 2018 (Advertisement No 27/2018) is 24 September 2018. If you to apply for Jobs in PPSC September 2018 so Apply Online by visiting PPSC official website. Applications rather than online cannot be accepted for Jobs in PPSC. The empty jobs are given below by department name.